At times you will think you are in heaven! Everything is done for you. Your personal wedding co-ordinator will help plan your special day and take care of all the details, including those little extras that make all the difference. It starts with the red carpet treatment on your arrival and a personal welcome from a member of our management team. You are looked after from the moment you arrive. Important guests, be that family or friends, are also afforded our upmost attention. 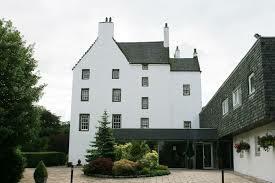 At Macdonald Houstoun House, we like to design a wedding package that works for you. Using our menu and drinks selector you can create your very own three or four course menu. For winter weddings, our all-inclusive package provides everything you need, even a piper to welcome your guests on arrival. Our whirlwind package allows you to create your special day with only two months’ notice and at a very reasonable cost.